Believe it or not, windows tend to depreciate over time, and there are some signs you need to look out for that suggest you might need a new window. For more about ‘Signs that you might need new Windows’, read our article. In the home improvement industry there is a certain saying about windows, ‘Fit Cheap, Fit Twice’, and this is true with windows that are so cheap it’s too good to be true. 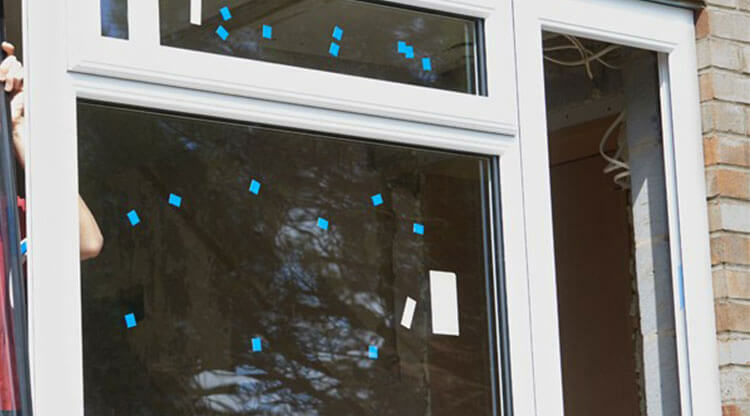 If you have got any windows that were purchased and fitted at incredibly low prices then it is likely the proper precautions were not taken before the installation and so the chances of your window depreciating dramatically increases. Cheaply sourced windows is just one of the many signs you need to keep in mind when deciding if you need to install new windows. For more signs, read on! It’s pretty easy to spot if your window is not properly fitted within the frame. Firstly draught would be a big problem; when the air can move freely in and out of your window despite it being closed, then, unfortunately, it hasn’t been correctly installed. The draught also gives you limited control over the heating in your home increasing the levels of general discomfort. Here at Conservatories Double Glazing Milton Keynes our Double Glazing in Milton Keynes is fitted perfectly, we also ensure we have it sized precisely to the frame to ensure draught is never a problem for you, and above all, we provide our quality windows at cost effective prices. This is easy enough to spot and can disrupt the aesthetic on your home. Not only are rotting frames an eyesore, but they can also cause security and functionality issues too. Rotting window frames are an irreversible damage as it starts to actually rot through the material making it very hard to manoeuvre your windows, and their vulnerable state makes it very easy to breach, and any intruder would have no problems breaking into your home. To rectify this issue, the best thing to do is to replace your windows, particularly PCVU Windows as they are less prone to rotting and can potentially last a lifetime with the right care. This sign is for those who simply want to refurbish their home, there might not be anything particularly wrong with their windows; they just feel like matching their windows with their new home aesthetic. Many companies offer custom made windows, so you easily find new windows that will perfectly match the new look for your home! If you are still unsure whether or not you want to change your windows ask for advice! There are many ways you can get the answers you want, one way being just generally searching online and if you do, you will find that there are many companies such as Click Glazing who have a wealth of knowledge about windows. Click Glazing have expert staff on hand that can confidently answer any of your burning questions about Windows and can either give you a solution or direct you to the company that offers the best quality windows at cost effective prices. There are many signs out there that indicate you need a change of windows, including wrongly fitted windows, rotting frames and simply to upgrade your home, so if you want to replace your windows look out for these signs!